Sehuencas is located between the district of Totora and Pocona, approximately 120 kilometres from the city of Cochabamba. From Monte Punku starts a trail to the north, descending towards the Amazonia (accessible only for cars with 4WD, or on foot). 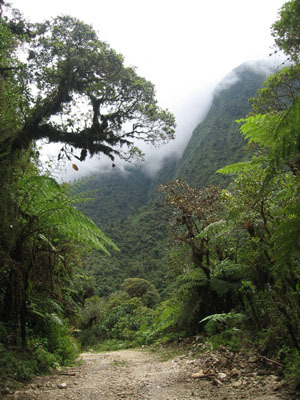 From an altitude of 3000 metres the descend takes you to a region caractarized by Yungas climate, and a tropical fauna and flora habiting the cloud forest. After two houres you will reach Sehuencas, where you will find basic accommodation facilities which belong to the Country Club Cochabamba. 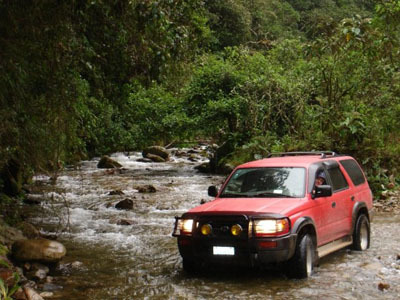 The rivers Ivirizo and Fuerte - tributaries to the river San Mateo in the Chapare region - are the primary touristy attractions of the area, where you could practice the trout fishing in between green hills covered by cloud forest. For information about tours into the Carrasco National Park and the Sehuencas region, please click here.